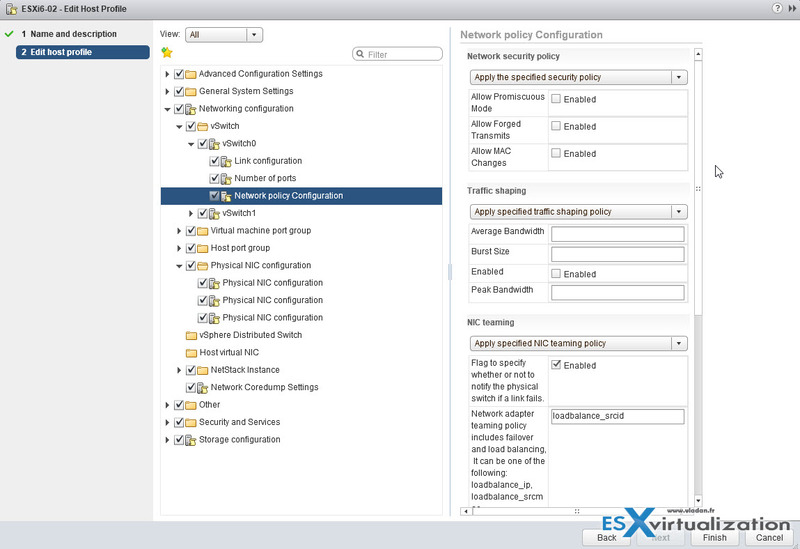 Today’s objective is VCP6.5-DCV Objective 8.2 – Create and Deploy Host Profiles. Host profiles are part of VMware vSphere Enterprise Plus licensing. Host profiles have been criticised back in a day for the bugs and inconsistencies, but vSphere 6.5 brought some significant improvements in host profiles and host profiles management. 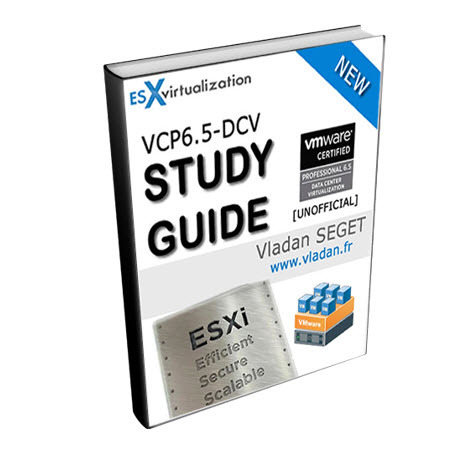 Check our VCP6.5-DCV Study Guide page which is now finished and filled up with all topics from the Exam Preparation Guide PDF paper (previously called Exam Blueprint). I highly recommend getting the full vSphere 6.5 documentation set and the latest exam preparation guide (PDF) as well, when preparing for the exam. I’m not linking directly in purpose as those PDFs can change URL, but you can find those easily through Google search or at the exam page. Note: VMware released new “bridge” upgrade path. Any VCP who is two versions of the most current available version in the same solution track can upgrade to the latest by only taking one exam. Previously, you would first have to earn the VCP6-DCV (and passing the delta exam) and then upgrade to the VCP6.5-DCV (again, through the delta exam.) Now you can go straight from VCP5 to VCP6.5. Host profiles feature creates a profile that encapsulates the host configuration and helps to manage the host configuration, especially in environments where an administrator manages more than one host or cluster in vCenter Server. Set up and configure the reference host. Create a Host Profile from the reference host. Attach other hosts or clusters to the Host Profile. Check the compliance to the Host Profile. If all hosts are compliant with the reference host, they are correctly configured. Host profile can be attached directly to a single host in vCenter Server, but usually, host profile is attached to a vSphere cluster as usually, all the hosts have the same hardware, storage, and networking configurations. You can extract a host profile from a reference host. To customize individual hosts, you can set up some fields in the host profile to prompt the user for input for each host. After the user has specified the information, the system generates a host-specific answer file and stores it with the Auto Deploy cache and the vCenter Server host object. Host profiles allow you to prespecify information, for example, the storage setup or Syslog setup in a reference host and apply the host profile to a set of target hosts that share the same settings. You can also use host profiles to specify that certain settings are host-dependent. If you do so, the host comes up in maintenance mode when you provision it with Auto Deploy. Apply the host profile or update the answer file to be prompted for input. The system stores your input and uses it the next time the host boots. Note: The answer file is not stored in a location or format that administrators can access. Use the Host Profiles UI in the vSphere Client to manage answer files. Host customization was called “answer file” in earlier releases of vSphere Auto Deploy. Stores information that the user provides when host profiles are applied to the host. Host customization might contain an IP address or other information that the user supplied for that host. For more information about host customizations, see the vSphere Host Profiles documentation. You can edit the host customizations for specific hosts attached to a host profile or cluster attached to a host profile. Navigate to a host profile > Right-click the host profile and select Edit Host Customizations > Select the host or hosts for which to edit the customizations, and click Next > Edit the host configuration values. Optionally you can click Browse to import a .csv file from your desktop. After importing the .csv file, the fields are updated with the information from the file. Extract a host profile from a reference host. 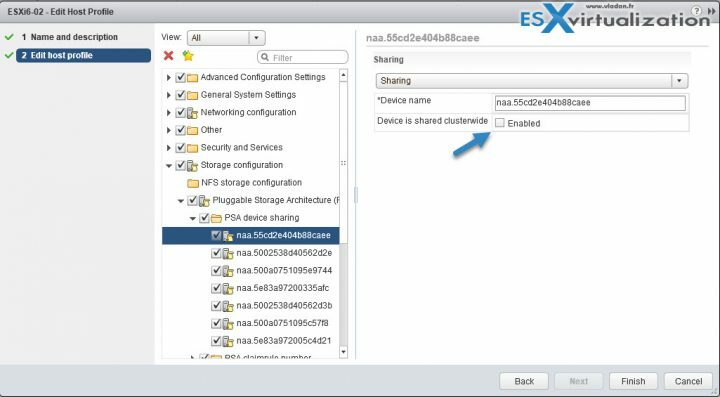 For SAS devices that are not detected as local, select Storage configuration > Pluggable Storage Architecture configuration > PSA device sharing > name of a device. For each device not shared across the cluster, disable Device is shared clusterwide. The Is Shared Clusterwide value for PSA devices helps you determine which devices in the cluster should be configured by a host profile. Correctly setting this value for devices in the cluster eliminates compliance errors due to non-shared devices. By default, this value is populated to reflect the Is Local setting for the device. For example, a device with Is Local set to True, this setting is disabled by default. This setting allows storage host profiles to ignore these devices during compliance checks. You can find the Is Local setting for the device by running the command esxcli storage core device list in the ESXi Shell. For more information on this command and identifying disks or LUNs, see http://kb.vmware.com/kb/1014953. For SAN boot LUN devices shared across the cluster but logically local to the host, disable the Is Shared Clusterwide on the reference host. You must set the value to False before extracting the host profile from the reference host. When applying the host profile to the target host, the boot device settings for the remote boot LUN device are copied from the reference host into the target host. Select Storage configuration > Pluggable Storage Architecture configuration > Host boot device configuration and verify that this LUN is correctly captured. Remediate the profile to the reference host for the changes in the sharing state to take effect on the reference host. If you must re-extract the profile (for example, if you attach more shared SAN boot LUNs to your cluster), you do not need to reconfigure sharing for devices that you previously configured. After creating extracting a host profile from a host, you can apply specific settings for network switch configs, such as network policy configuration, number of ports, link configuration etc. It is a per-switch setting so if your environment has multiple vSwitches you must go through all of those. 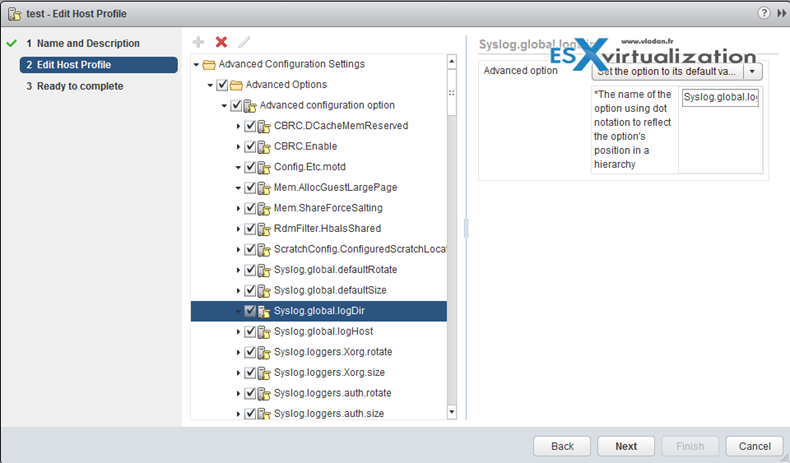 You create a Host Profile by extracting a configuration from a reference host. Select the Host profile > Actions > Edit settings > Next > Edit Host profile > When done, click Finish. Host Profiles can be also used to validate the configuration of a host by checking compliance of a host or cluster against the Host Profile that is associated with that host or cluster. You can import a profile from a file in the VMware profile format (.vpf). When a host profile is exported, administrator and user profile passwords are not exported. This is a security measure and stops passwords from being exported in plain text when the profile is exported. You will be prompted to re-enter the values for the password after the profile is imported and the password is applied to a host. Navigate to the Host Profiles view > Click the Import Host Profile icon > Click Browse > Enter the Name and Description for the imported Host Profile, and click OK. 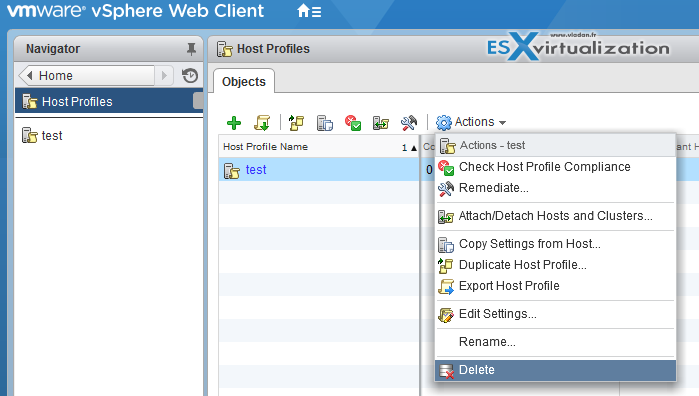 Export a Host Profile – You can export a profile to a file that is in the VMware profile format (.vpf). When a host profile is exported, administrator and user profile passwords are not exported. This is a security measure and stops passwords from being exported in plain text when the profile is exported. You will be prompted to re-enter the values for the password after the profile is imported and the password is applied to a host. Navigate to the Host Profile you want to export > Right-click the profile and select Export Host Profile > Select the location and type the name > Save. Right-click the host > Host Profiles > Attach > Select Host > Next > follow assistant Finish. In order to check compliance of a host or cluster, you can use host profile. Navigate to a Host Profile > Click the Check Host Profile Compliance icon > In the Objects tab, the compliance status is updated as Compliant, Unknown, or Non-compliant. A non-compliant status indicates a discovered and specific inconsistency between the profile and the host. To resolve this, you should remediate the host. Any unknown status indicates that the compliance of the host could not be verified; to resolve the issue, remediate the host through the Host Profile. Host profiles do not capture offline or unpresented devices. Any changes made to offline devices after extracting a host profile will not make a difference to the compliance check results. You can decide whether a Host Profile component is applied or considered during compliance check. This allows administrators to eliminate non-critical attributes from consideration or ignore values that, while part of the Host Profile, are likely to vary between hosts. Edit a Host Profile > Expand the Host Profile Component hierarchy until you reach the desired component or component element > Disable the checkbox next to a component (enabled by default) to remove it from being applied during remediation or considered during a profile compliance check. This topic heavily used “vSphere Host Profiles” PDF and vSphere 6.5 documentation set, available from VMware documentation. Check for the latest versions online. For SAN boot LUN devices shared across the cluster but logically local to the host, disable the Is Shared Clusterwide on the reference host. You must set the value to False before extracting the host profile from the reference host. When applying the host profile to the target host, the boot device settings for the remote boot LUN device are copied from the reference host into the target host. Select Storage configuration > Pluggable Storage Architecture configuration > Host boot device configuration and verify that this LUN is correctly captured. conęguration > Host boot device conęguration and verify that this LUN is correctly captured.